The third grand slam of the season has reached its middle Sunday, and here is a round-up of the major happenings during the first week, and how the odds makers see both the men’s and women’s tournaments panning out. 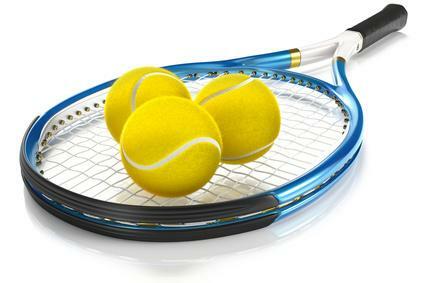 At the start of the tournament the betting was headed by the big four of Novak Djokovic, Andy Murray, Rafael Nadal and Roger Federer. All four of these players have progressed into the second week – however have done so with different levels of ease. Novak Djokovic was made to work in his second round match against Radek Stepanek but has dropped just one set so far. Defending champion Andy Murray has been in imperious form, not having dropped a set or even taken to a tie break so far. Nadal has had a strange week, dropping the first set in each of his matches before coming through and winning the match in four sets. Roger Federer, like Murray, is yet to drop a set or even face a tie break. Going into the second week, Djokovic remains favourite, though it is tight at the top between these four players, with Murray strengthening in price the most. Nick Kyrgios, the 19 year old Australian has made the most waves in the first week, knocking out 13th seed Richard Gasquet on his way to the fourth round and a fascinating meeting with Rafael Nadal. Grigor Dimitrov, John Isner, Stanislav Wawrinka, Milos Raonic and Kei Nishikori are all into the second week, and will be looking to go deep. At the start of the week, the tournament seemed to be all about Serena Williams and Maria Sharapova, with the winner of their prospective quarter final surely going on to win the tournament. This all changed on Saturday afternoon when Alize Cornet of France won a dramatic three set encounter against Serena Williams, to knock the favorite out of the tournament. The third round also saw the departure of the number two seed, Li Na, so the women’s draw has something of an open look to it. The top half of the draw looks strong despite the exit of Serena Williams, with Simona Halep, Sharapova, Angelique Kerber, Ana Ivanovic, rising star Eugenie Bouchard and of course, Alize Cornet, the conqueror of Serena all still involved. Only three of the top sixteen seeds remain in the bottom half of the draw – Agnieszka Radwanska, Petr Kvitova and Caroline Wozniacki – with Radwanska looking like having the best of the draw. Ex champions Maria Sharapova and Petr Kvitova lead the betting going into the second week with Radwanska, Halep and Bouchard in a group just behind. Monday sees a great line up on centre court with Alize Cornet against Eugenie Bouchard, followed by Andy Murray against big serving South African Kevin Anderson, finishing with Novak Djokovic facing a test against mercurial Frenchman Jo-Wilfried Tsonga. Maria Sharapova and her partner Grigor Dimitrov both feature on court number one.